Team Works: Bali’s Canggu Club has turned from near disaster into a success story, thanks, its management says, to a talented team. 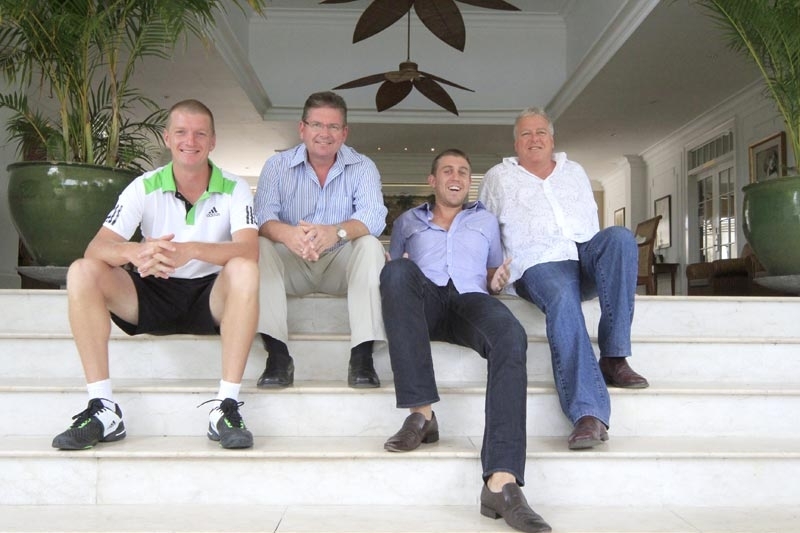 Pictured here are (L-R) tennis and recreation manager Robbert Willie, from the Netherlands; general manager John Donner, a Canadian; James Wynne, president director of Shogroup, which runs the club, from Australia; and Mal Ryan, an Australian. Read our exclusive story here.